Our pre-school section is a specially-prepared learning environment, laying a solid foundation for children aged 18 months to 5+. 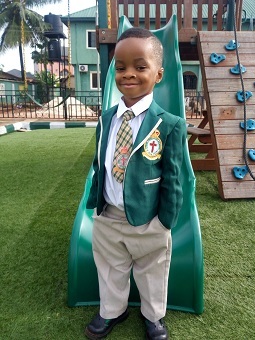 All our pupils follow an adapted form of the Montessori method of child education which is regarded throughout the world as unsurpassed in its ability to help younger children achieve their full potential. The basic components of our structured environment are: Freedom. The child is allowed to move freely around the classroom, talking to other children, working with any equipment he/she chooses. Reality and Nature. 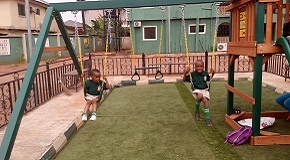 An experience of the natural environment is given to help the child achieve harmony with nature. Social Awareness. Through exercises on the care of the environment, care of self and development of social skills, the child gains social awareness. Order. The carefully planned and structured environment develops in the child a sense of orderliness and an awareness of order in the external world. Beauty. The environment is aesthetically pleasing and simple, developing a sense of beauty in the child. Sense Training. This develops the child’s awareness, helps build the required concepts for learning and sounds necessary for appropriate language development. Each day starts with a circle time of about 30 minutes. The child is given the opportunity and freedom to choose materials spontaneously from the shelves. The teachers move round the class to supervise the children’s work and assist them when necessary.